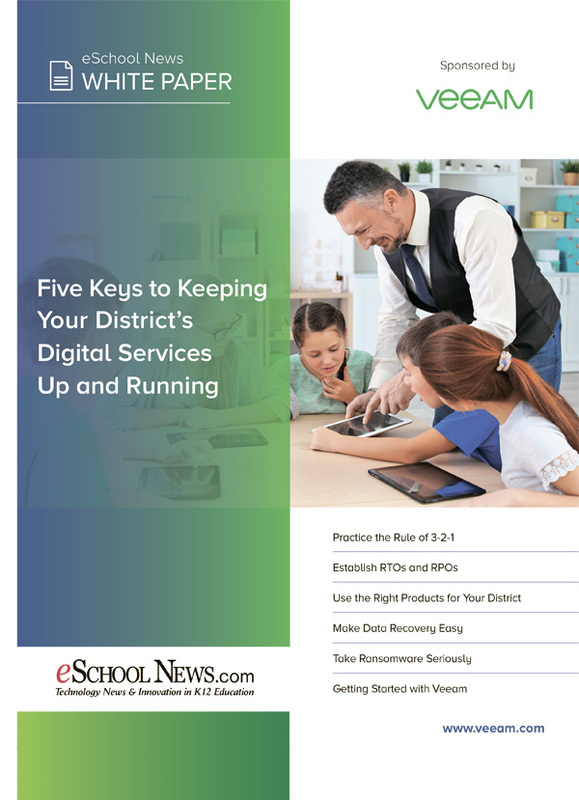 Right now, K-12 institutions are experiencing explosive data growth, increased demand on school portals, increased compliance regulations, high cost of new technology adoption and growing data security concerns. 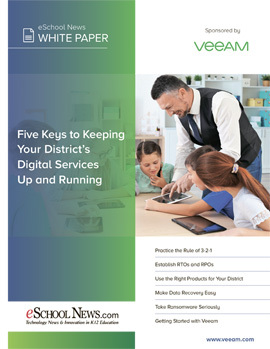 You are also trying to balance the high cost of new technology adoption with limited resources and budgets in an environment where faculty, students and employees want 24.7.365 access across multiple devices — both in the classroom and away from school. 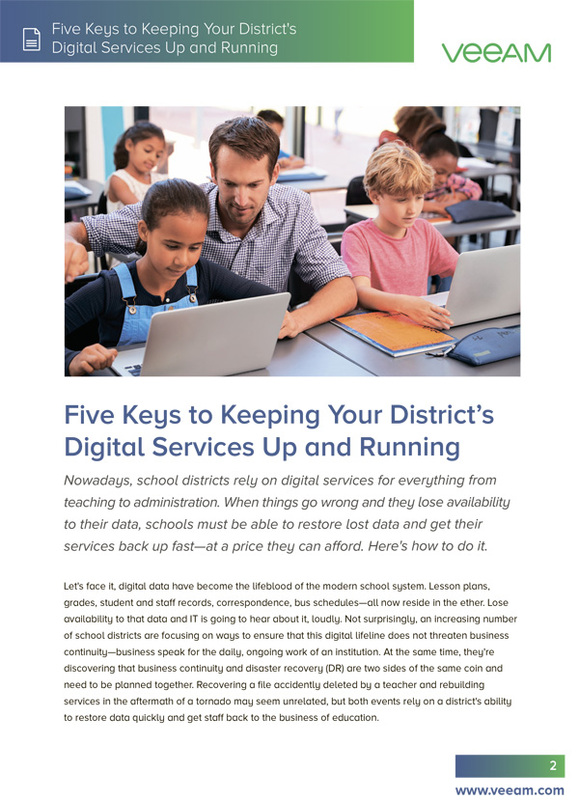 Find out the value of using a cloud-based backup and disaster recovery platform in today’s data-centric K-12 education environment in our new educational whitepaper.